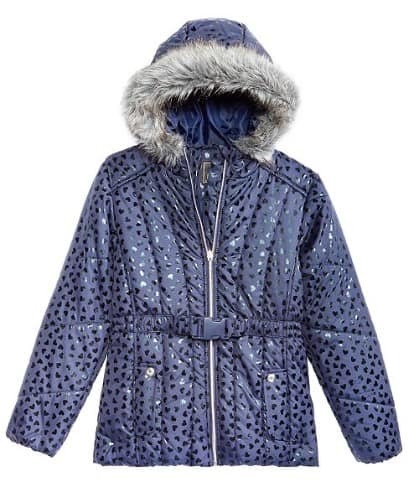 Macy’s has Big Girls Hooded Metallic-Print Puffer Jacket 4 colors marked down to $29.99 from $85. Use promo code FRIEND at checkout to make the final price $20.99. This hooded puffer jacket trimmed with soft and plush faux fur. You can get free shipping on orders over $99 or you can get free shipping by adding a beauty item (starting at $2.55 after coupon).